I baked a Barbie cake yesterday and I love it! Although it's not perfect but for my first attempt, I'm very happy with outcome! The reason why I make this is because my workmate misses her barbie cake that she had when she was 5. So I thought I can make one for her to give her a surprise! I have never make one before or even taste it before..so basically I have no idea how to make it. I googled the pics and read some online recipes. 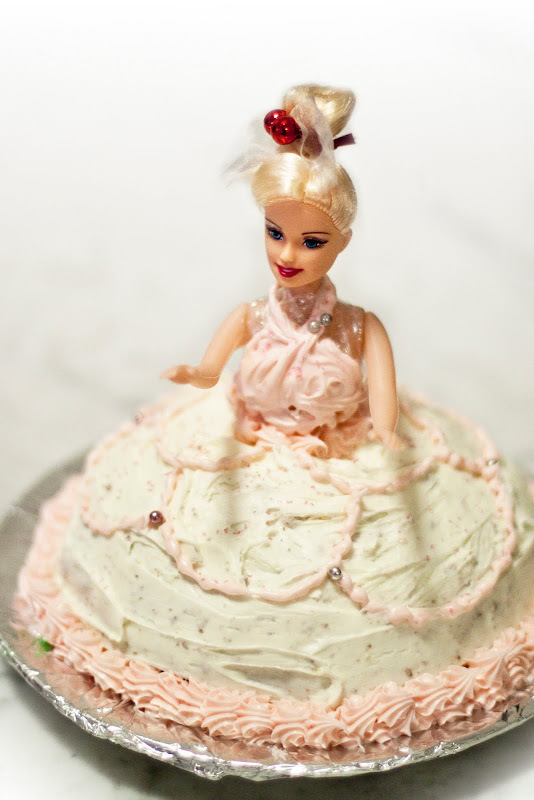 Anyway, let me show you the pic of my Barbie cake! Tadaa!! Here it is! My version of Barbie Doll cake! 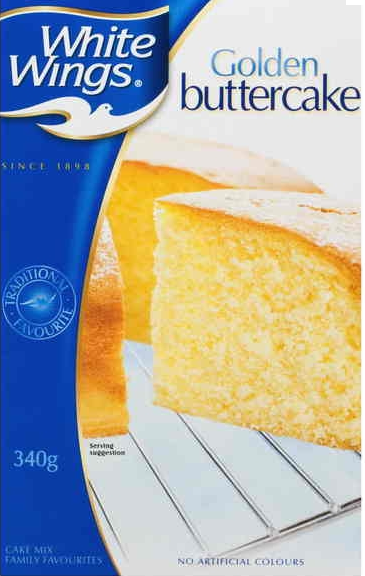 Firstly, I bought White Wings Butter Cake Pack. Yeaps! Super cheat! 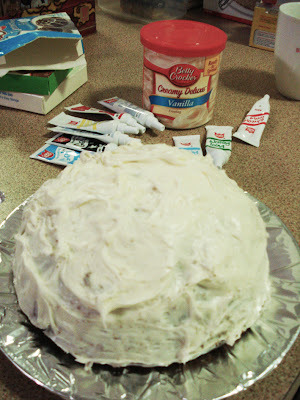 But hey, I can't afford the risk of baking a sloppy cake because I basically have only a few hours to do it. So yea, add in eggs milk and butter. Beat it and pour it into a Pyrex bowl then off to bake in the oven! The instruction said to put at 160c fan force, but because it's quite a deep bowl, the cake didn't cook on time, in fact it was still raw in the middle after 40 minutes in the oven. So I had to lower the temperature down to around 130c to let it bake for another 30mins. and thank gowddd it worked! Let it rest a couple of minutes to cool then in the fridge to chill. 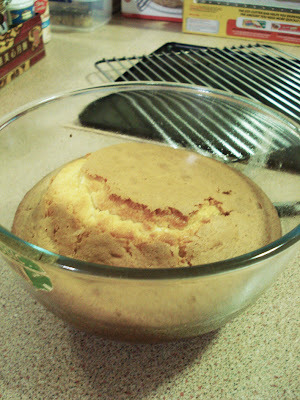 At this stage, I'm not sure if I should take it out from the bowl or not ( but I think i should next time) because it's quite difficult to separate the cake after that and it crumbs. Now it is time for the Barbie to be in the gown! Okay, this part will be a bit disturbing. 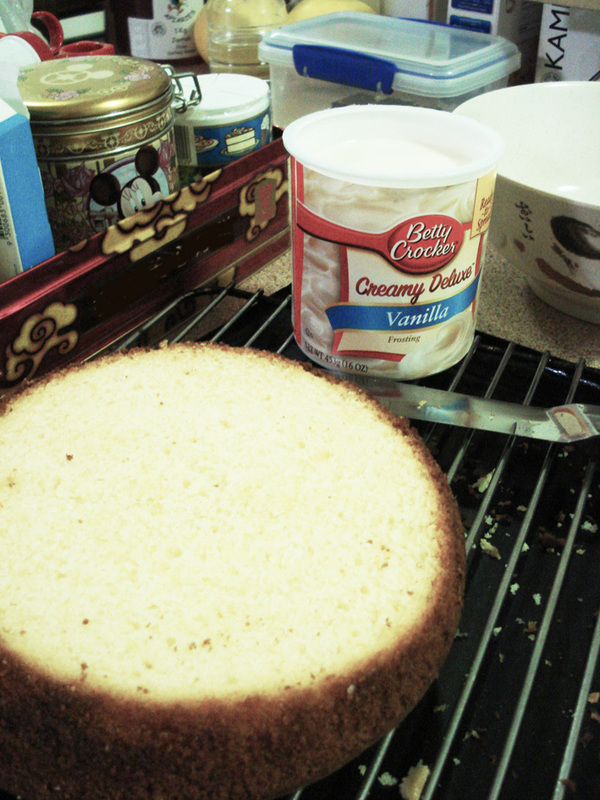 Well, because my cake is a bit LOW.. :P I can't put the whole barbie into the cake. What they usually do is bake one cake on a pyrex bowl and another cake on a normal round cake tin that is around the same size as the bowl. They then stack them up and it will create a tall cake, then cut a hole in the middle for us to slide in the barbie's legs. But for my case, because it was too low and I had no time to bake another cake, I separated the barbie into half! 0_0" Just think that I did a David Copperfield thing. I'm not a killer, just did a lil magic trick ok.
Then I wrap the barbie body with cling wrap. I wrap it in a way that it looks like she's wearing halter neck shirt. 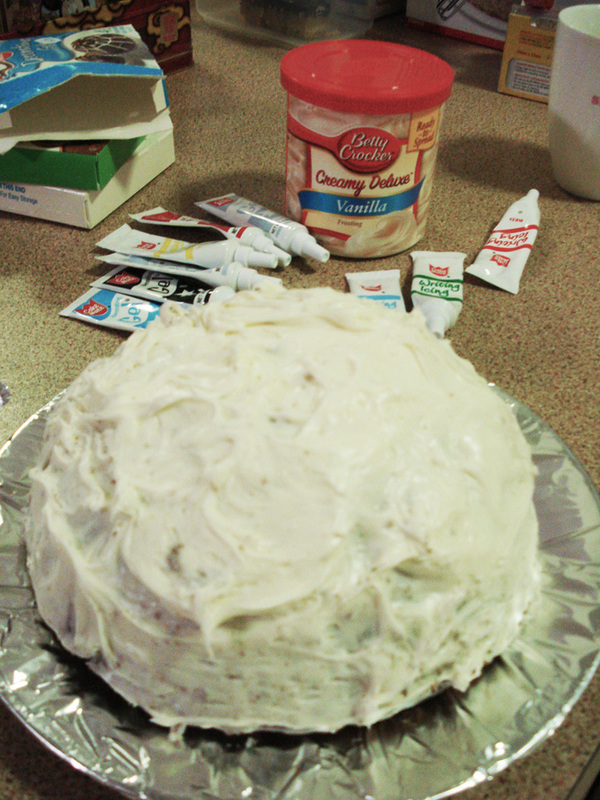 Then I decorated it with more icing! Pump pump pump! She is one pretty good copy of Barbie! She only cost me $2 from the 2 dollar shop and she looks 80% like the real barbie! Except she is super light and her dress is like paper. hahahaha Her eyes nose mouth and head looks absolutely perfect! One thing I love the most about Barbie is the shoes!!! My sister used to have a whole lot of Barbie shoes when we were young, and I particularly liked a pair of glittery transparent heels that she had for the barbie and I call it the Cinderella shoes. I wonder if my sister still has it. Now the question of transporting the cake to my workplace.. how.. ? I grabbed an empty box from Bunnings, did a bit of trimming and cutting and sticking and there you go! That's sweet of you to make that for her. And it turned out really well! Makes me want to make one :P What dollar store did you get that doll from? i got it from Belmont Forum 2 to 5 dollar store :D quite nice isn't she heheheh.. yay!! 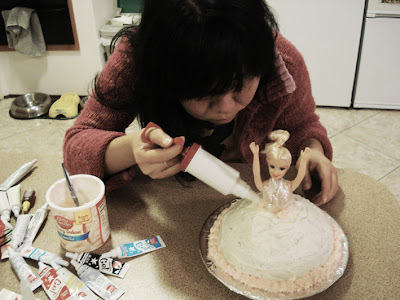 I'm sure your barbie doll cake will look prettier than mine haha have fun! Looks absolutely amazing JoJo :) You're a true friend and awesome work colleague :) Wouldn't ask for anyone better in a work environment! Bet Judes loved it! Thank you Jojo, I was amazed you did all this! It was a beautiful present and so incredibly thoughtful. Lol I love Belmont Forum, I find so many cool things there. Will definitely give it a shot at least! I had a cake like this when I was younger and it was the best cake I had ever, ever had! !